Two reports just published by Strategy Analytics and International Data Corporation reveal a snapshot of how the smartphone market did in 2017, and how specific manufacturers have fared in the past year. The data shows that 2017 saw little change in smartphone shipments overall, and Samsung managed to ship more units than any other manufacturer by far. Let's take a look at the details. Compared to Q4 2016, Q4 2017 was especially tough for manufacturers. According to the latest report from Strategy Analytics, global smartphone shipments fell 9 percent, from 438.7 million to 400.2 million units, making it the biggest annual fall ever. Strategy Analytics Director Linda Sui says this was due to demand in China, a massive market, falling 16 percent from longer replacement cycles, fewer carrier subsidies and a lack of 'wow' models. International Data Corporation's data showed a smaller decline in the slow holiday quarter, though it was only 6.4 percent rather than the whopping 9 percent found by Strategy Analytics, with 403.5 million units shipped compared to 430.7 million units in the same quarter of 2016. Nevertheless, looking at the year as a whole rather than comparing quarters between years, 2017 saw little change. According to Strategy Analytics, there was 1 percent growth in smartphone shipments (setting a 1.5 billion unit record high). International Data Corporation, on the other hand, reports a less than 1 percent decline, with 1.472 billion units shipped compared to 2016's 1.473. Regardless of which report you're looking at, you'll see that 2017 overall didn't deviate greatly from 2016. Which manufacturer came out on top in 2017? 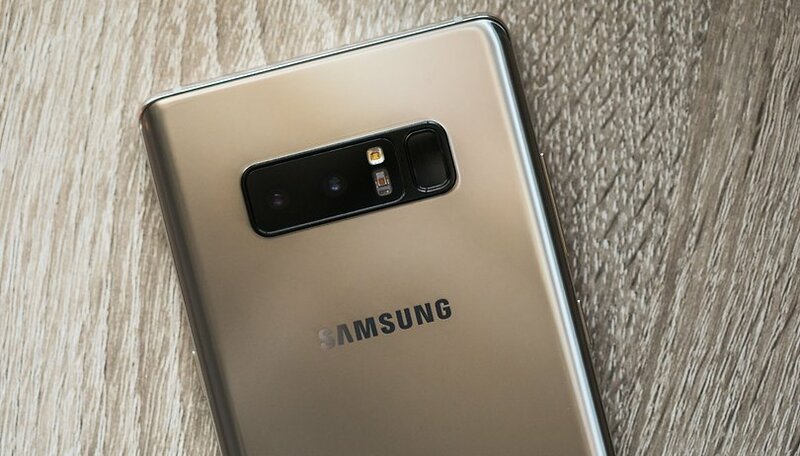 Despite pressure from Chinese competitors in large markets like China and India, according to Strategy Analytics Executive Director Neil Mawston, Samsung remained the largest smartphone brand in the world in 2017, shipping 317.5 million units. That's compared to the runner up, Apple, with its much fewer 215.8 million units, followed by Huawei, OPPO and Xiaomi with 153.0, 118.0 and 91.3 million units, respectively. International Data Corporation's ranking for 2017 was the same, though the shipment numbers vary slightly. Samsung remained number one in 2017, in spite of losing the top spot to Apple in the holiday season of Q4, thanks to a strong comeback from the Note 7 disaster with the Samsung Galaxy S8 and Note 8. Looking forward, the Galaxy S9 could cement its position at the top in 2018. What do you think of these results? Are you surprised Samsung is still the number one? This doesn't surprise me in the least. Due to the fact their phones are always the most feature packed on the market!